A Philadelphia police officer filmed swinging his bike at an anti-Donald Trump protester during a Make America Great Again demonstration is being investigated by the department’s Internal Affairs Division. 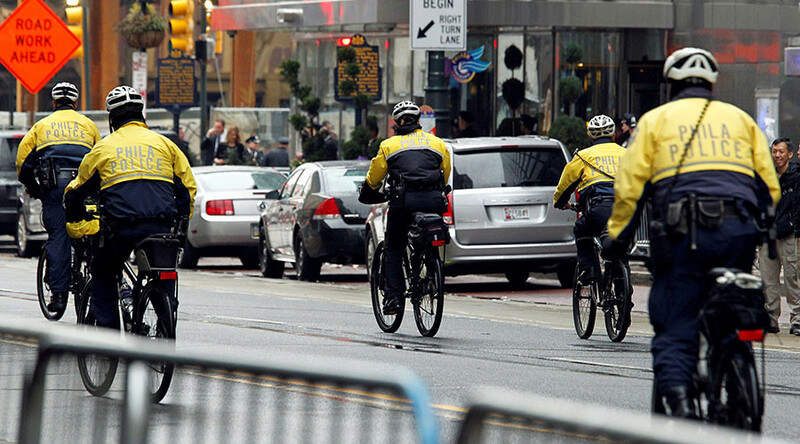 The video showing the Philadelphia cop swinging his bicycle at a protester has not only gone viral but has also resulted in an investigation by the IAD. The visuals was shared by Philadelphia writer Joshua Scott Albert, who filmed Saturday’s pro-Trump rally in the City of Brotherly Love that was interrupted by anti-Trump protesters. The unnamed officer was shown with his department-issued bicycle already in his hands when he approached a protester in all black. The officer then took a swing at the demonstrator who was not seen behaving aggressively in the four-second video. It is unclear whether or not the bicycle made contact with the man as the action took place just slightly out of frame. However, the protester ran out of shot as the office put his bike back on the ground. Neither the officer nor the protester has been identified. However, the protester is assumed to be connected with the anti-fascist network known as Antifa that staged counter-protests to Saturday’s pro-Trump march. Antifa members were making their way towards the pro-Trump protesters, Albert explained to the PhillyVoice. Albert did not claim to have seen what lead up to the moment when the officer swung his bike but did say that the protester seemed to have been walking away. “He wasn’t being aggressive,” Albert said of the protester. Albert posted numerous videos from Saturday, including several others that depicted seemingly aggressive actions taken against protesters, who largely remained peaceful. He did tell the PhillyVoice that the investigators from the IAD “are seeking additional information and insight” about the actions of officers. Gripp told the Philadelphia Inquirer that there were no reports of property damage or injuries. Two anti-Trump demonstrators received citations from police but the rally was still cut short by early afternoon to maintain the peace.